PCBs dated 27-Nov-2013 may include a 180K 1/8w resistor...this is not used. Note that there are two (2) binocular ferrites of the same size. One is a type -43 material and the other is a type -61 material. 2. 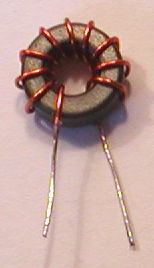 Install all 1/8 Watt and 1/4 Watt Resistors. Note: R6 controls the output of the QRP Amp by controlling the gain of the driver Q1. bend the leads 90 degrees (7/16" from body) per the below picture. Fill the 6 holes next to Q2 & Q3 with solder. 5. Wind and Install all Chokes and Transformers. 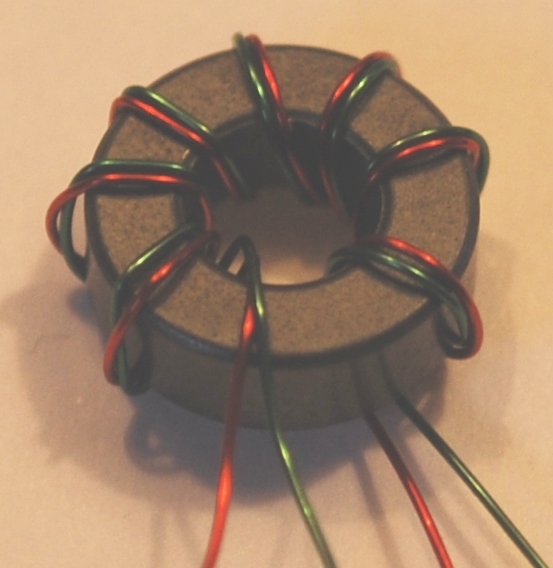 ____T1: Wind 8 turns of dual 30 ga wire (Red&Green) on an FT37-43 ferrite toroid. Wind the wire on the toroid clockwise. Trim the wires of T1 to a half inch. Strip the insulation off the wires using a hot solder iron. 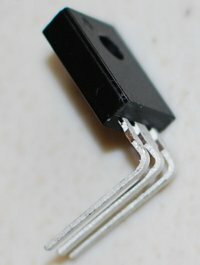 Install and trim leads from the PCB. 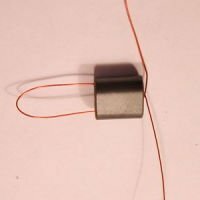 ____L1: Wind 10 turns of 26 GA wire on an FT37-43 ferrite toroid. Trim the wires of L1 to a half inch. A full turn thru a binocular is defined as a wire thru both holes. leaving a one inch loop. Wind each wire another 1/2 turn through the binocular. Fold back the two end wires and cut the loop of T2. Strip the insulation off the right two wires using sidecutters or sandpaper. Wind each wire another 1/2 turn through the binocular. Trim to one inch, Strip the insulation off the two wires using sidecutters or sandpaper. leaving a one inch loop. Wind each wire end 2 and 1/2 turns times more through the binocular. You should now have 6 turns visible on the right side of T3. Strip the insulation off the two wire ends using sidecutters or sandpaper. Fold back the two end wires and cut the loop of T3. Strip the insulation off the new wire ends using sidecutters or sandpaper. Align and Install T3 on the PCB into the holes per the picture. Use the INSIDE 4 holes for mounting. Solder and trim leads. ____T4: Wind 2 sets of 6 full turns of 26 GA wire through a BN-61-202 binocular. Trim both wires to one inch. Cut another 13 inches of 26 GA wire. 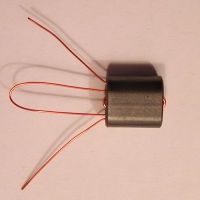 Fold the wire in half and insert into both holes of T4, from the right. Wind each wire 2 and 1/2 turns times more through the binocular. Align and Install T4 on top of T3 per the picture. Use the OUTSIDE 2 smaller holes on the bottom of the PCB. For balanced output, do NOT install the jumper. 6. Install the PIN Diode. 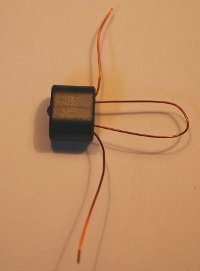 Connect a 40 or 20 meter LowPassFilter to the output of the Amp. 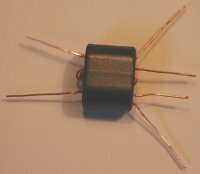 Connect a 5 Watt dummy load to the output of the LowPassFilter. 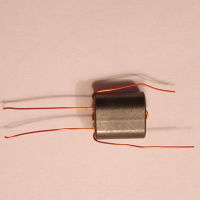 Connect +12V to J3, include +8V from J2 if R4 was not installed. Adjust R6 for desired RF output to the dummy load. 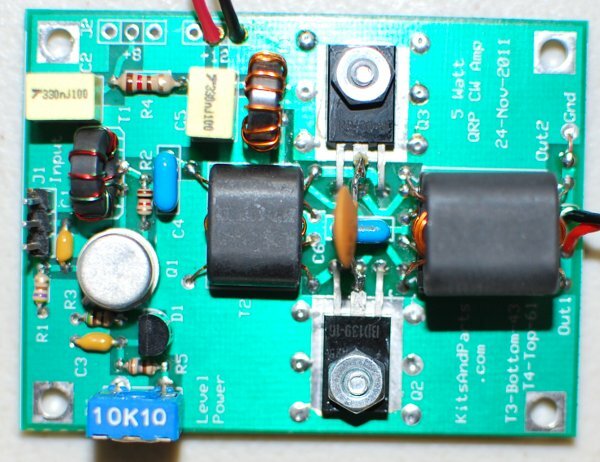 The 5 Watt QRP Amp is now finished. Go QRV and hold a CW QSO.